To attain a healthy fit body people tend to accept various body cleansing or body detoxify methods. People are ready to follow strict diets inorder to get rid of their excess fats in their bodies. One such type of diet includes only liquids like water, vegetable juices and fruit juices to perform a master cleanse. Some cleanse diets do not provide the body required nutrition. In a master cleanse there is deficiency of proteins, vitamins and minerals. So there is muscle wastage in the body. Hence such cleansing methods do more harm than benefits to the body. Some cleansing methods show weight loss within the duration of the detox period but after that when a person begins to consume food normally he gradually gains weight within a week or two. These type of diets cause eating disorders, hunger, emotion and deprivation which finally results in overeating habits after the detox period. A person needs to follow a diet or cleansing method inorder so that it does not harm the body metabolism. One can try to reduce redmeats, dairy products, eggs, fats, gluten foods, canned foods, alcohol, carbonated drinks, coffee to get rid of body fat. Intake of grains, vegetable protein, healthy oils like olive and coconut, Fresh vegetables, leafy vegetables and fruits can benefit the body in staying fit and healthy. There are evidences of people who lost body fat and gained muscles when taking vegetable sources of protein. 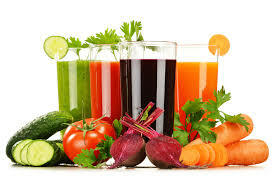 Liquid diets of juice detox can be beneficial to the body to get rid of toxins but when its done fortnightly or monthly once.